John Stemkowski, 83, of Lorain, died Friday November 30, 2018 at Mercy Regional Medical Center in Lorain. 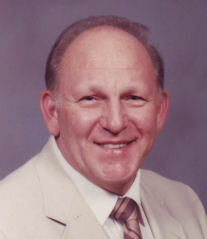 He was born December 4, 1934 in Shadyside, Ohio and had resided in Lorain since 1953. John graduated from Bellaire High School and moved to Lorain to work at US Steel. He worked at the mill for four years until he was drafted into the US Army where he served as an SP4 in Germany from 1957-1959. After his honorable discharge, John moved back to Lorain and continued working at US Steel as a Millwright in fuel and power retiring after 33 years. John was a member of VFW #451 in Lorain where he volunteered at bingo for many years. He was also a member of the American Legion, DAV Chapter #20, St. Peter Parish and the former St. Stanislaus Catholic Church all of Lorain. He enjoyed gardening and woodworking. He is survived by his wife of 59 ½ years Ingeborg Stemkowski (nee Pohlmann); sister-in-law Eleonore Englert of Schweinfurt, Germany and many nieces and nephews in the US and Germany. He was preceded in death by his parents John and Julia Stemkowski (nee Sleczka) and all eight of his brothers and sisters. The family will receive friends Sunday December 2nd from 2:00-5:00 pm at the Gluvna-Shimo-Hromada Funeral Chapel, 3224 Broadway Ave, Lorain and on Monday December 3rd from 10:30 am until the time of the mass of Christian Burial at 11:00 am at St Peter Parish, 3501 Oberlin Ave, Lorain. The Rev. Craig Hovanec, pastor, will officiate. Burial will follow at Calvary Cemetery in Lorain where AMVETS Post #32 of Elyria will conduct military honors.